What is the Certificate of Lay Ministry? In the Church of the Nazarene, we believe all Christians should consider themselves ministers of Christ and seek to know the will of God concerning their appropriate avenues of service. Any member of the Church of the Nazarene who feel called of God to fulfill a specialized ministry as a layperson, but do not necessarily profess a call to preach or to full-time ministry may receive a Certificate of Lay Ministry from the local church board. This certificate helps validate the participating layperson’s commitment to a body of believers and study of a chosen area of ministry. Why would I want to pursue the Certificate of Lay Ministry? The pursuit of the Certificate of Lay Ministry will offer you a deeper understanding of God’s Word, Christian growth, the Church, and enhance your effectiveness in a chosen field of ministry. Having the Certificate of Lay Ministry also lends you credibility and the educational process affirms God’s call. Furthermore, it will strengthen your walk with Christ as you discipline yourself through study. How do I pursue a Certificate of Lay Ministry? Application for a Lay Ministry Certificate is contingent upon the recommendation of the local church pastor and a commitment to complete the Certificate of Lay Ministry studies and a CLT area of study in a chosen ministry.  The Continuing Lay Training (CLT) office will record course completion as they are reported by participants and/or pastor. The local church board, upon the recommendation of the pastor, shall initially examine the lay minister candidate as to personal experience of salvation, effective involvement in church ministries, and knowledge of the work of the church, and satisfy itself as to the lay minister’s qualifications for such ministry. Where do I go to take the course for a Certificate of Lay Ministry? You can complete the courses for the Certificate of Lay Ministry from this web site. Because the content of the courses are availalbe as free downloads, there are no books to purchase. You will find these studies in the Lay Minister Studies section of the web site. We are continually adding more courses so check back for new courses. You will first need the recommendation of your pastor. Your pastor will then present you to the local church board for approval. Once you have received approval from your pastor and local church board, your pastor will need to send in the Certificate of Lay Ministry Application. Does the local church board need to give approval? The local church board, after receiving the pastor’s recommendation, will be the one to approve you for the Certificate of Lay Ministry. Upon approval, your pastor will register you in the program by sending in the Certificate of Lay Minister Application. Once we receive the application we will send the certificate. Does the Certificate of Lay Ministry need to be renewed? The church board, upon the recommendation of the pastor, may renew the certificate of the lay minister annually, if the lay minister has completed at least two subjects in the lay ministry educational program as outlined by Continuing Lay Training. The lay minister shall report annually to the church board and the renewal process is necessary to keep the certificate active. Upon approval for renewal, your pastor will need to send in the Certificate of Lay Minister Application. Once we receive the application we will send a new certificate. What is the course work for this program? Continuing Lay Training recommends the satisfactory completion of the following courses, or their equivalent, which are available for FREE on this web site. These modules can be found on the left menu bar under the section titled, Lay Minister Studies.